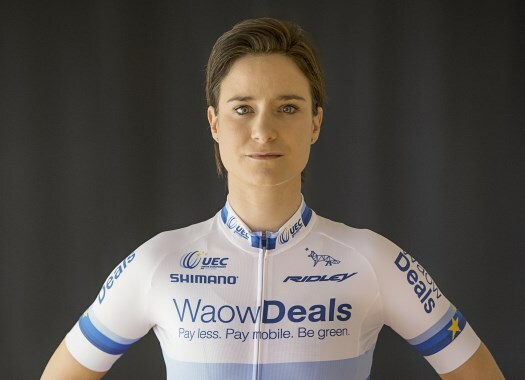 Marianne Vos (WaowDeals) has taken the victory at the first stage of the Ladies Tour of Norway. The Dutchwoman was the strongest at the uphill finish in Mysen. The first day of racing in the Dutch race after the TTT of the day before in which Sunweb took the final victory, was 127.7 kilometres long between Rakkenstad and Mysen. The hilly profile and the wind caused breaks on the peloton from the beginning and 33 riders could get an advantage over the rest. Boels-Dolmans' Karol-Ann Canuel made a move with two laps in the final circuit to go. Riders like Floortje Mackaij (Sunweb), Annemiek van Vleuten and Amanda Spratt (Mitchelton-Scott) tried to reel back in the Canadian before the last climb, but by the time they got to her, Marianne Vos (Waowdeal) had already launched her attack. The Dutchwoman crossed the finish line just ahead of Emilia Fahlin (Wiggle High5) and Coryn Rivera (Sunweb). "Last year I didn’t make any good result here," Vos commented. "I was too far behind into the uphill finish. But I learned something from that and now I was in a better position, even though it was very unsure if we should catch Karol-Ann."